We’ve all heard and love the Proclaimers song and we absolutely love dearest Olivia Giles’s 500 Miles Charity to help people with mobility difficulties to give them a chance to live independent lives. But my 5000 has a whole other meaning. It’s the number of scones I’ve probably eaten since we opened The Scottish Cafe (and a few before up at George Street before the OBS Order of the Best Scone was awarded to the team down at TSC. PS The order was bestowed by myself as the self sacrificing morning taster. 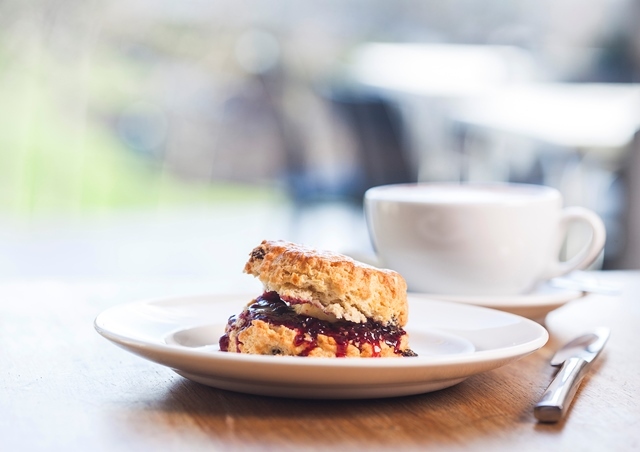 Now I don’t want to put any of you off our scones as they are delicious (in both venues) but the adage, everything in moderation should always be the caveat. I may have poisoned myself with an overdose of wheat. Scones in the morning, pastries in the afternoon, pasta in the evening. I’ve gone overboard. I’ve long confessed to being a carbohydrate junkie but it’s caught up with me. So for the last three weeks I’ve been cutting back. I’ve still been having a treat on a Sunday with a little cupcake (made by my cupcake Carla of course) or a slice of sourdough. And I’ve had the odd bit of batter on my fish and a little breadcrumb on my Milanese and I’m feeling FANTASTIC. Fresh fruit salad or black pudding, poached eggs and spinach for breakfast. Some primi piatti for lunch and i’m amazed at how much more energy I have, how much calmer I am and this is the big one – how the pain of eating as gone. Yes I probably need to be checked by a doctor and all the rest but I’m eating fresh, homemade, carbohydrate light food and I’m dancing with no pain. For years now I’ve associated eating and being satisfied with a pain in my tummy. The pains have all gone. I’m eating slightly more but I’m not putting on any weight. This wasn’t a weight challenge but a health challenge. Our menus are naturally set up to be carbohydrate lighter especially at Contini George Street where the real mediterranean style of eating as I’m reluctant to use the word Italian as this in itself had a whole other story. My treat this week is afternoon tea with Aunty Gloria. So we’ll have a good carb fix with a little scone but it will be the treat of the week not the top up overdose of the day.